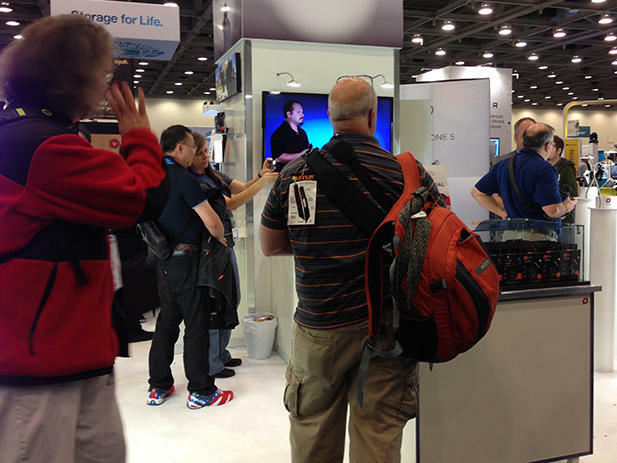 Tooling around the Macworld show floor in San Francisco, I can’t help but feel a strange sensation. I think it’s sadness. 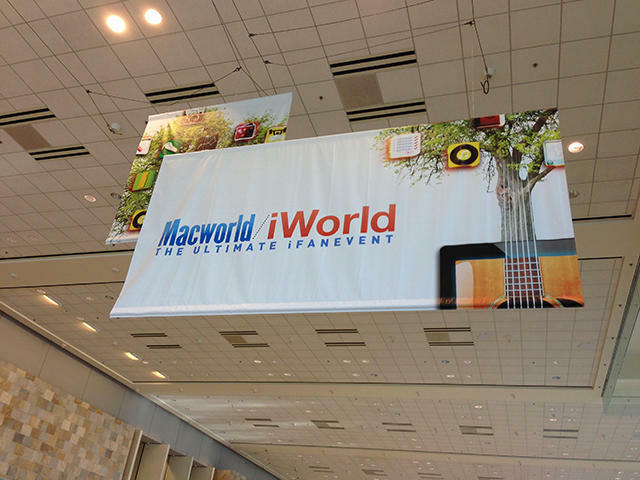 This year’s Macworld/iWorld arrived much like others in recent years. Usually there’s some attention-getting headliners, several sessions exploring different aspects of i-usage, and an exhibit hall bursting with iOS/Mac accessories and apps. And this year’s show is no different. Ashton Kutcher and Josh Gad (JOBS), Fred Armeson (Portlandia) and Will.i.am graced the event; numerous seminars are showing attendees how to pimp their photography or music creation with Apple products; and the hall is, as ever, filled with exhibitors trying to court customers and business contacts. But something still feels amiss this year. Even though the name carries “The Ultimate Fan Event” tagline, the sentiment was truer last year, when attendees converged upon SF’s Moscone Center to rejoice in their i-revelry. In years past, the corridors were thick with fashionistas, hipsters and others on the Apple bandwagon. I used to hit the hall and fight my way through for a peep at cool or unusual, forehead-slapping innovations. Now I roam the hall, barely bumped by the middle-aged attendees who are altogether too polite to be considered the clamoring masses. And for what? Yet another bag, case or screen protector? Portable iPhone battery? iPad stand? I never had the pleasure of attending a Macworld Expo back when Steve Jobs and Apple actually used to come. 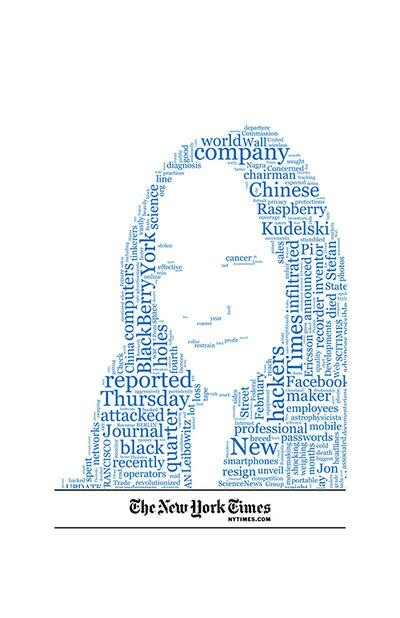 (The company stopped participating. The last time was in 2009.) I can only imagine it was a totally different event, and it must have been painful for the expo coordinators to soldier on without mama bear in the house, but the show had to go on. And it did. It managed to stay relevant and exciting, thanks to the enduring popularity of Apple products and all the fascinating work being done by accessory and app developers. And now? Well, the best parts of this year’s show were Fred Armisen’s appearance — he hilariously ribbed the competition by saying Portlandia only uses PCs in crappy environments, like the DMV — and the New York Times booth that renders people’s images in in text. But what does that say about a show when the best aspects of it aren’t even about the featured platforms or related products? Here’s a whole new take on a first-person shooter. 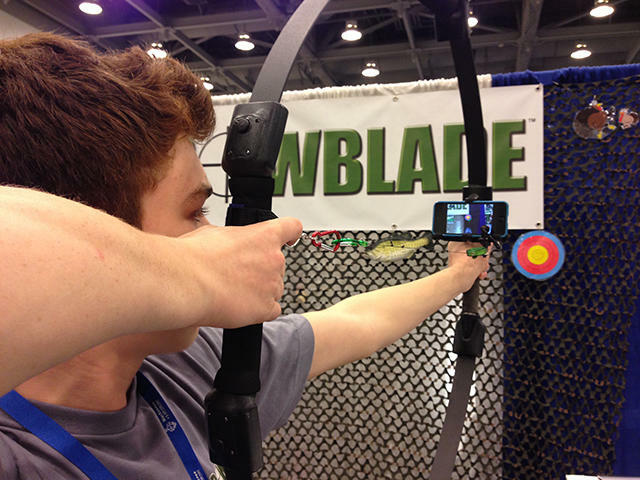 The BowBlade is a full-size bow that’s being positioned as both a fitness accessory and a gaming peripheral. Users can take target practice, rack up points or hit a virtual battlefield, depending on the app. (A PDF showing 35 compatible ones can be found here.) The $185 price tag may seem expensive, but it’s nothing compared to a real bow that can cost hundreds of dollars more. Plus, there’s no threat of accidentally skewering a loved one. Yes, it’s portable power, but it’s for a MacBook! Finally, powering an Apple laptop on the go doesn’t have to be a colossal pain in the neck, and it can be done without resorting to questionable third-party external products from gray market resellers. All you need is an airline adapter or one of the company’s Magic Boxes. And if you’re thoroughly clad in Apple, the HyperJuice 2 for MacBook can power all your i-products — it will even juice up one MacBook and two iPads at the same time. 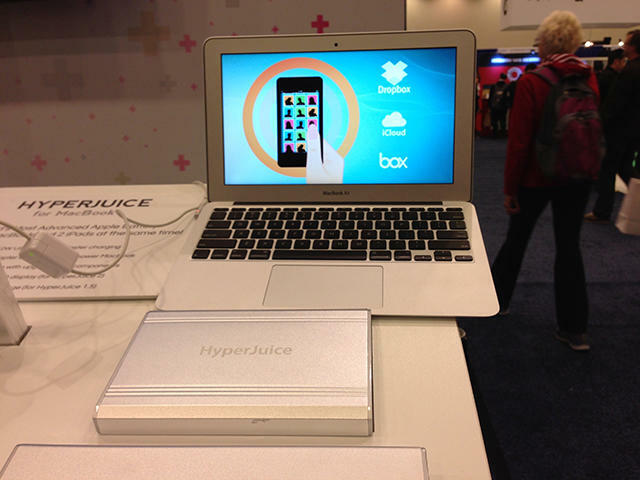 HyperJuice models that power MacBooks vary from 60 Wh (16,000 mAh, $170) to 222 Wh (61,000 mAh, $300). Others are available for USB mobile devices only. 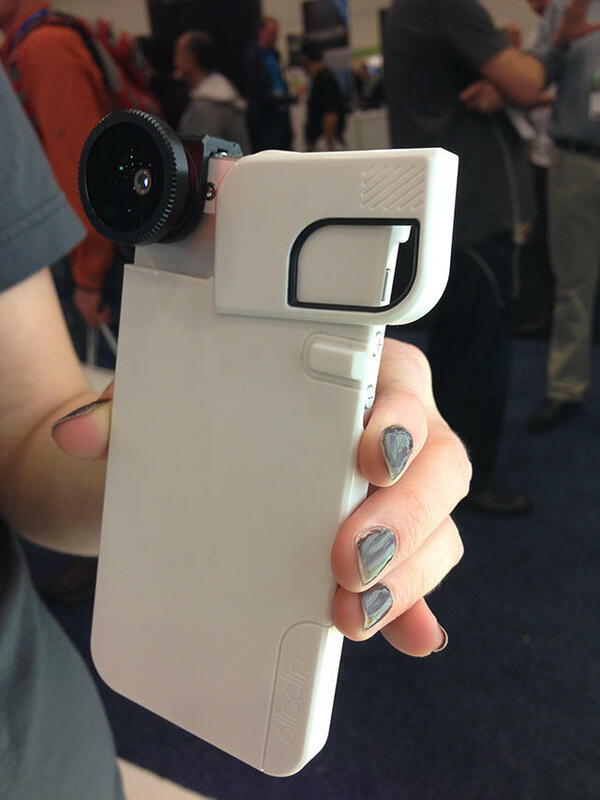 Olloclip is a cute little iPhone accessory that packs three lenses — macro, wide angle and fish-eye — into one petite package. While adorable, and perhaps handy for iPhone photographers, it has been around for a while now, so this didn’t really wow me as much as the product it was being demo’ed with: The rep was rocking a strange-looking iPhone case. The top corner at the camera lens flips open, so the Olloclip lens fits beautifully on the naked handset without having to pull off the whole cover. 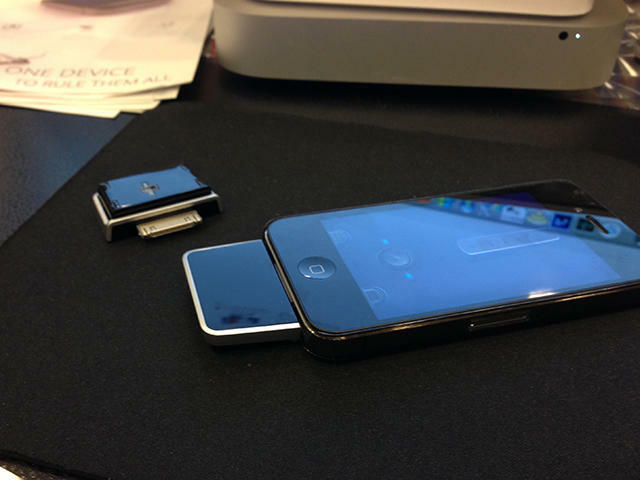 I’ve seen similar ones that pop open on the bottom, to allow access to the docking port, but not for iPhone photography. 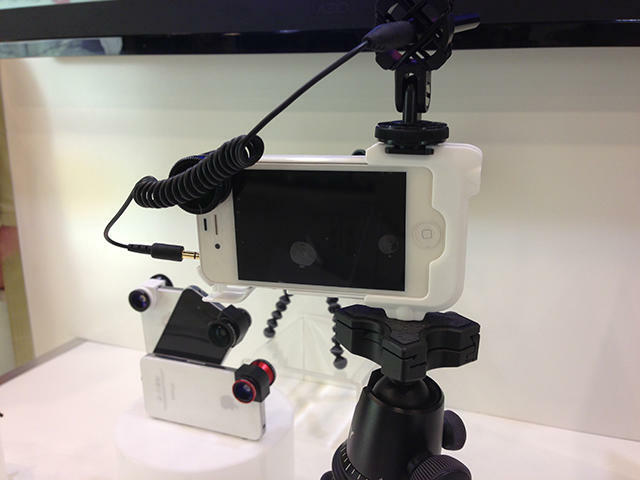 It also has an attachable shoe that’s threaded to fit any standard tripod (in two positions, landscape and portrait). Since it comes off when not in use, it leaves a leaner, lighter case that stays relatively slim and pocketable. Most lens/case combinations are not very attractive or are inordinately bulky — which is why I have a drawer full of iPhone camera lenses that stay home — but this is a smart solution that could finally turn me into a better iPhone shooter. Unfortunately, it’s not available for purchase yet, but if you’re interested, keep your eyes peeled for an early spring launch. There are plenty of companies that have turned the iPhone into a trackpad or remote controller for use with computers or settop boxes, but few are as cool as this: Using a small matchbook-sized attachment, Mauz turns the handset itself into the actual mouse (with virtual “scroll wheel”), a mid-air motion-gesture controller and even a “visual control” accessory. The latter feature had me mesmerized. The user just sets the iPhone down and waves a hand above the front camera to trigger actions. Talk about feeling like you’re casting spells. (Expelliarmus!) The company was showing off its prototype at the show, so we’re still a ways off from seeing this hit the market, but it’s a fascinating implementation, and we can’t wait to see what springs forth from it — particularly when iOS gaming developers get their hands on this. It’s like smushing a computer mouse, Wiimote and Kinect together and stuffing them into an iPhone. So there were some clever innovations at Macworld this time around, though not as many as previous years. I suspect all eyes will be on 2014, to see if the show can get its mojo back. It’s a hard call, but the answer might lie with Apple itself. The company needs to unleash something dramatically innovative this year (for multiple reasons). That may be the only thing that can inspire this eco-system of accessory and app makers and give Macworld the boost it so desperately needs.